Spray a baking sheet with cooking spray and unfold one sheet of the puff pastry on the baking sheet. Mix the cream cheese, sugar and Almond Extract until well blended. 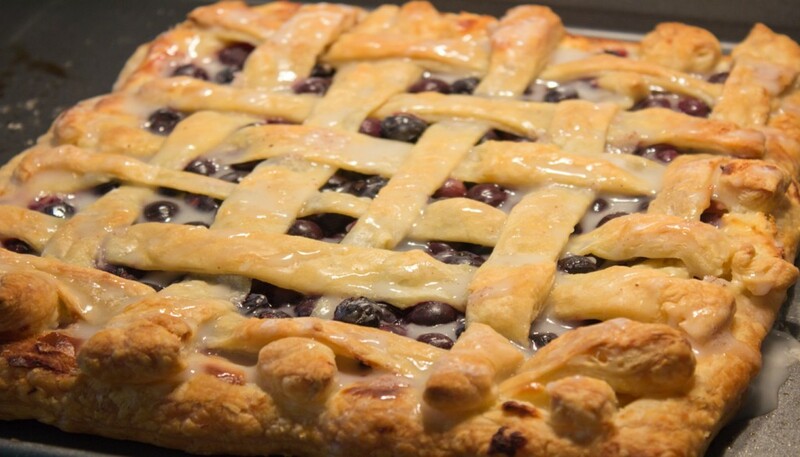 Spread the cream cheese mixture on the puff pastry, then sprinkle the blueberries on top. Take the second sheet of puff pastry and cut into strips. Create a lattice top and crimp the bottom sheet with the lattice top to seal. 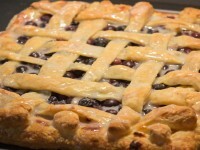 Place in oven for 25 – 35 minutes or until the pastry is brown. When the pastry is completely cooled, mix the powdered sugar, milk, almond extract and cinnamon until smooth, and drizzle over the cooled Danish.